Snap Marketing were commissioned to manage the creative website design and graphic design for supporting marketing collateral for Wagnwalkies a dog walking/care company in the Basingstoke area. Wagnwalkies is the mastership for a growing dog/care/pet business and Franchise for Hampshire and surrounding areas. The website had to be able to expand at a later date to include more services and be able to roll out a full capacity for ecommerce. 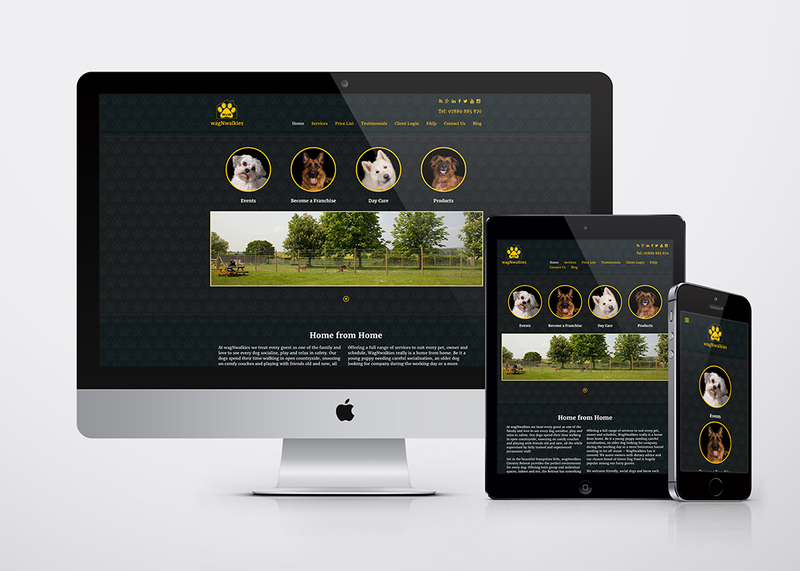 The site had to user friendly and transparent, with easy links to paying and booking online for the busy pet owner. When building the main site we had to encompass that smaller microsites would be produced to support the Francise business and would have to link back into the Master site. Snap also created sub division branding (Wagnwalkies Kingsclere....) for the franchise side of the expanding business. Snap updated wagnwalkies brand identity and repositioned to target the growing dog walking/care consumer market within Hampshire.